Click here for an Instant Market Report for Dry Creek Crossing Showing Active For Sale, Under Contract and Sold Over the last 6 months. An urban development in a suburban community, Dry Creek Crossing offers upscale living spaces finished with granite, hardwoods and architectural details like rounded corners and high ceilings. 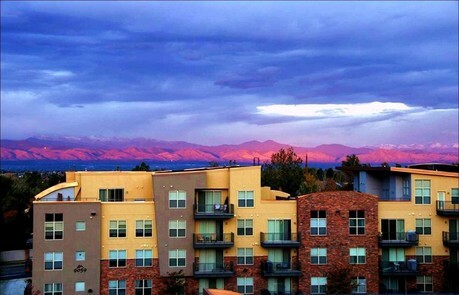 Some units have fantastic mountain views and outdoor living spaces from balconies to rooftop decks. The residents enjoy an array of amenities such as a community pool, workout room and conference center and the development is conveniently located within walking distance of the Dry Creek Light Rail Station and is just minutes to nearby Park Meadows Mall and the surrounding restaurants and shops. Walk to the Dry Creek Light Rail Station!